24 Mar How does Bluetooth work? Bluetooth connects portable equipment such as mobile phones. Low-cost transceivers are embedded in the devices. Up to 8 devices can be connected at the same time, and each device provides a unique 48-bit address. The piconet or Bluetooth network is composed of a personal area network that contains 2 to 8 Bluetooth peer devices. There’s usually up to 7 slaves and one master, the device that initiates a connection with other devices. It controls the trafﬁc and communications link between itself and the slaves, the devices that respond to the master device. Slaves need to synchronize their receive/transmit timing with that of the master device. Slave devices can only start its transmissions either in a time slot reserved for use by the slave device or immediately after the time slot that was addressed by the master. The master’s Bluetooth device address defines the frequency hopping sequence. The master device sends radio signal demanding a response from the slave devices included in the range of addresses. The slave devices respond and synchronize their clock and hop frequency with that of the master. Scatternets, an ad hoc computer network composed of 2 or more piconet, are made when a device becomes an active member of more than one Bluetooth network. Bluetooth’s core specification is composed of 5 layers – radio, baseband layer, Logical Link Control & Adaptation Protocol (L2CAP), Link Manager Protocol (LMP) and Service Discovery Protocol (SDP). Radio defines the radio transmission requirements including power characteristics, frequency, and modulation for a Bluetooth transceiver. LMP dictates the process for setting up and managing link. The baseband layer identifies the logical and physical types of link and logical channels. It also defines the packet formats, device addressing, channel control, receive and transmit timing and frequency hopping mechanism. Logical Link Control & Adaptation Protocol adapts any upper-layer protocol to the baseband layer. Service Discovery Protocol allows a Bluetooth device to ask other Bluetooth devices for services provided and device information. Bluetooth eliminates radio interference by using Speed Frequency Hopping. It uses 79 channels of a specific frequency band. Each device has access to the channel for only 625 microseconds. This means that the device should toggle between receiving and transmitting information from a one-time slot to another. The frequencies change 1,600 times per second so that more devices can use the radio spectrum. There will be no interference as every transmitter will be on a different frequency. The chip where the transceiver is embedded consumes about 0.3mW of power, which guarantees minimum consumption of battery life. Bluetooth can be used to transfer verbal and data communication as it can support up to 3 similar voice channels. Security is also guaranteed at bit level as authentication is managed with a 128bit key. Bluetooth is not affected by issues associated with one to one communication and line of sight limitations. It can be used in various applications as well. One of these is automatic synchronization. It uses the hidden computing model that focuses on apps in which devices automatically perform specific tasks for the user without user awareness or intervention. Bluetooth can be used for almost all peripheral devices such as speakers, mouse, printer and keyboard. You can connect these devices to your PC without using cords. Bluetooth can also be used to allow a single headset to be used with different devices such as stereos and telephones. Cracking wired communication is difficult. Spying on wireless communication is easier as information is being transmitted through the open. You only need to be in the range of the wireless transmitter to get its signals. To solve this problem, wireless internet networks are encrypted. Communication is also encrypted. Devices can be restricted so that they can communicate with trusted devices only. For instance, your mobile phone can be used only by a Bluetooth hands-free headset that you own. This is also known as device-level security. You can limit the functions that Bluetooth devices can do with other gadgets using service-level security. However, criminals are looking for new ways to do what they want. Some of the most common attacks include bluejacking where messages are sent to other people’s gadgets, bluebugging where attackers take over your Bluetooth devices without your knowledge, and bluesnarfing where information from someone else’s gadget is downloaded using a Bluetooth connection. If you are using Bluetooth gadgets in public places, you should take reasonable precautions to protect your device and data. This will give you peace of mind when using your device. Bluetooth and Wi-Fi are not the same. Wi-Fi is designed to transmit more substantial amounts of data between the internet and the computer, often over greater distances. It covers more considerable distances and consumes more power, so it presents more significant health risks. Wi-Fi has complex security. 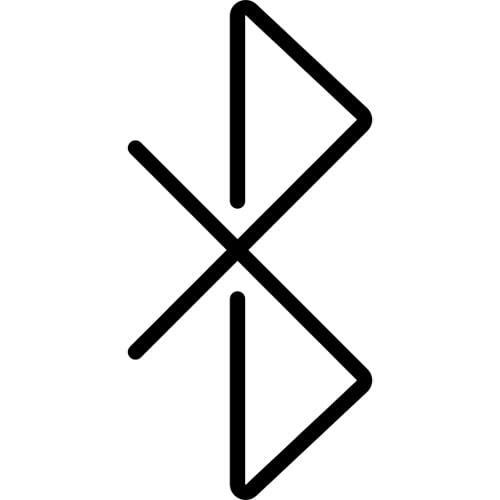 Bluetooth, on the other hand, is used for connecting electronic devices and computers in an ad-hoc way over short distances. It is often used for occasional or brief communication using a small amount of data. Bluetooth connects automatically, consumes little power, presents little or zero health risk and is relatively secure. Bluetooth and Wi-Fi can be used together to make your devices function more conveniently for you. These are complementary technologies that can help maximize the efficiency of your gadgets. Bluetooth is quite tricky to use. It can drain the battery of your mobile device. Communication can become impossible or erratic when you step out of range. Connecting two Bluetooth devices is not always as easy and as quick as it should be. Bluetooth has to continue evolving to keep up with the changes in the world of mobile devices. Developers are launching improved versions of Bluetooth to meet the needs of various users and connect devices more securely and quickly. An excellent example of this development is the Bluetooth Version 2.1 or Basic Rate/Enhanced Data Rate that offers enhanced security and simpler connectivity between gadgets. Bluetooth Version 3.0 or Bluetooth High-speed offered lower consumption of power and faster communication. Bluetooth Version 4.0+, also known as Bluetooth Low Energy or Bluetooth Smart, connects a broader range of gadgets, is simpler to integrate into mobile apps and consumes less power.